It’s been some eighteen months since we heard from break_fold, the, post-I Concur musical vehicle of Tim Hann. 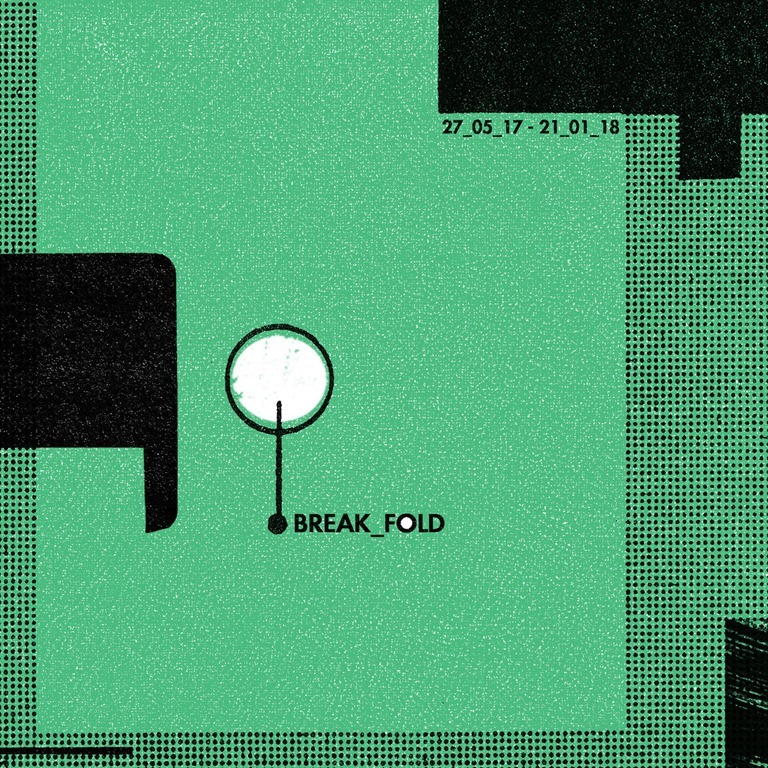 27_05_17 – 21_01_18 continues the trajectory of its predecessor, the first break_fold release 07_07_15 – 13_04_16, and as previously, each track title refers to the date that work on the song commenced. And, as the press release for this limited-edition cassette release explains, ‘The album serves as a document of time stamped periods of creativity captured in layered beats and foggy reverse reverb textures’. However, this set also marks a evolution, and whereas dark ambience dominated the first release, this outing offers some real range, not to mention stylistic expansion. As such, it’s something of a musical diary, and Hann’s methodology isn’t a world apart from that of John Tuffen on a number of his projects, notably Namke Communications’ One Year; Two Days and 365/2015. An what both artists share is a certain logical sense of documentation and a prioritisation of location in time (but, seemingly, less so space: we know the when, but there where, undocumented, is immediately lost to history and perhaps vague memory). There’s a lot of fog and murk in the mix on the seven semi-ambient pieces collected here, but 27_05_17 – 21_01_18 is a lot, lot lighter than its predecessor and is the soundtrack t a move o an altogether happier place. ‘08_01_18_Intro’ raises the curtain with clitchy, flickering microbeats, sedate pulses of bass and swathes of expansive, abstract sweeps of sound.‘21_01_18’ goes low-tempo and stealthy, with a strolling, near subsonic bass and rippling piano drifting gently over a slow-turning sonic expanse. There’s a more direct feel to ‘07_08_17’, with it pulsing synths and insistent beats – and with the vintage Roland snare sound, it has something of a tense, Krautrock vibe and a certain urgent turbulence beneath its smooth surface. ‘19_11_17’ hits an almost commercial vibe, with a buoyant dance beat pushing the altogether more focused composition forwards. There are no two ways about it: 27_05_17 – 21_01_18 finds Hann pushing himself and expanding his musical palette. The atmosphere on this release is very different from its predecessor, and while it’s very much a mistake to align the artist and the art, the tone suggests that Tim Hann is in a better place than when he recorded 07_07_15 – 13_04_16. I certainly hope so. 27_05_17 – 21_01_18 isn’t all sweetness and light, but it is a varied and, in places, uplifting album with no shortage of buoyance, melody and accessibility.